SIP (Systematic Investment Plan) is an investment method offered by the mutual fund houses which work on the principle of regular investment to build a good capital return. Thus, instead of investing a lump-sum amount at one time, an investor just has to put small amounts every month through SIP. Normally it is regarded as a good method to sign up for perpetual SIPs if you have a long term investment goal. When an individual makes his investment through SIP, his money is actually invested in Mutual Funds. The return gained by the investor is based on the performance of these funds over the period of time. Although, based on the facts of past performances and the historical data Mutual Funds have performed well for a longer time period. Many financial capitalists also believe that investing your money in mutual funds, through SIP route is conceived to be a better long term investment option for growing your wealth. The financial institutions that deal with the mutual funds on behalf of their investors, depositors or clients and manage the assets of these funds are known as Asset Management Companies. In India, almost all the of the major nationalized and NBFC banks such as SBI, HDFC, ICICI, Kotak Mahindra, Axis Bank, IDBI, HSBC provides SIP-mutual fund services. Other than banks, companies such as Reliance, Birla Sun Life, Franklin Templeton, Motilal Oswal, DHFL, LIC, DSP Black Rock also help you to invest your money in mutual funds - through SIP in a systematic way and guide you to establish a Balanced Financial. How to start a SIP online? The prerequisite and one of the biggest pain points for investing in any mutual fund - SIP is to complete your KYC (Know Your Customer) formalities. With the introduction of cKYC or Central KYC in 2017, every individual who wants to invest in mutual funds - SIP needs to get their cKYC verified first. For this, an individual can log on to any AMC (Asset Management Company) or KRA (KYC Registration Agency) websites and submit certain documents (either online or by physically visiting the KYC centers). These documents include the copy of your PAN card and your Address Proof. In Direct Funds, there will be no middlemen involved. For Regular Funds, you can approach many online brokers such as FundsIndia, Scripbox. However, if you are new and unable to understand the ABC's of mutual funds, go with Regular Funds platform. 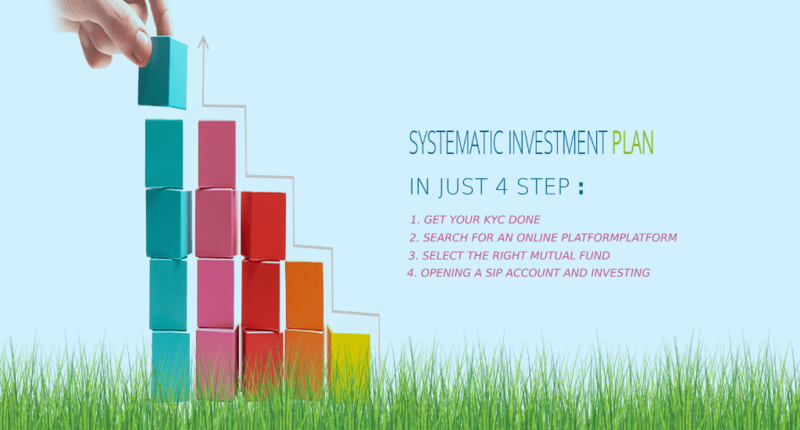 You can also select Mutual Funds houses to invest in SIPs through their online platforms. But this will allow you to invest only in the schemes that are offered by the respective fund houses providing no multiple options. There are over 800 basic mutual fund schemes and more than 5000 dividend variations. Do a thorough research about different schemes based on your needs for a Short-term, Long-term, Debt or Equity before investing in any Mutual Fund-SIPs. Most online platforms provide you with the information on the past performances of these funds. For measuring the performance of any scheme it’s ranking among peers should be evaluated. For this, you need to check the quartile ranking which will display how the prospective fund has performed over the period of time among its peer group. You can verify these rankings from the performance sheets of various AMC or other mutual fund research websites. Fund Manager plays a very important role in selecting a fund scheme. As he is the ultimate decision maker his experience and past records of managing funds should be looked at. The total expense ratio is the measure of the total cost the investor has to pay for a fund. These costs may include the fees and expenses incurred for purchasing, redemption and auditing a fund. Select a fund which has lower expense ratio as it will prove to be the most cost-effective scheme. Once you are cKYC compliant and have decided on an online platform and the right mutual fund, you can visit the website of the respective fund house you want to invest in and search for the registration link for creating a new account. It will direct you to a form to fill in your basic details. Keep your bank account details and your phone handy as you might be asked to provide your bank details to set-up a monthly debit and to verify your account through an OTP. Once the online account is created, login to your account and go with the mutual fund scheme that you selected and then select the SIP date and duration as per your convenience and submit. Your SIP will start after a time period of 30 to 40 days. You can even check your SIP monthly by logging into your account and look up the Mutual Fund - SIP order book. Always bear in mind that the most critical attribute while investing in any schemes is - Patience. Funds you are investing in are not risky, but your existing savings and your needs decide your capability to take risks. Don't ever make the mistake of blindly investing in funds that your broker advises.